Video marketing is complex and ever-changing, so we decided to start an ongoing conversation about the role video marketing plays in different industries. For REAL TALK, our video blog series, we sit down with industry leaders to learn how they best utilize video marketing for their business or organization. RDP: What’s one thing that makes video marketing so effective in the summer camp industry? Paige: I think that is is really important for children to be able to see the emotion, the action, and the sound. 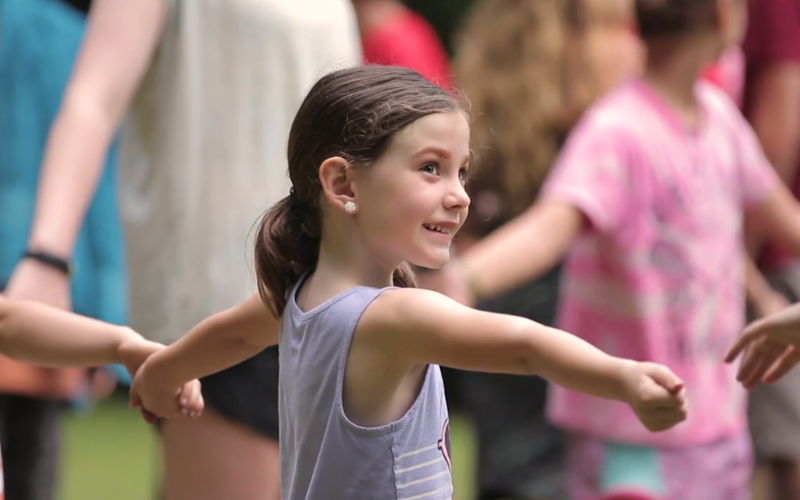 It is a big leap for the parents to trust someone else with their children, but it’s a big leap for children too,for 7, 8, or 9 year olds, to even imagine what summer camp must be like. So to give them the opportunity to see that live and to imagine themselves there – video can do that. With websites and catalogues, a child can look at that, but it just doesn’t give them the same sparkle and excitement and confidence and comfort that video can give them. RDP: How do you determine a video’s success? Paige: So throughout the year we have tracked the data showing how successful the video has been. Personally though, I have spoken with parents and staff members that saw the video and said that really looks like an amazing place. RDP: Does your video help you recruit prospective staff members? Paige: I I talked to a lot of staff members that really liked our video. And the staff members apply to lots of summer camps. They are probably looking at more summer camps than parents. Parents often go through word of mouth, and they have 5 friends that recommend 5 different programs that they look at. But potential staff members cast a wide net and they’re looking at lots of different programs. I talked with many staff members this year that really liked our video and said “from watching your video and reading the information on the website , I could tell that you were different.” It’s a great morale boost! RDP: Have you heard any feedback from camp parents? Paige: One of the stories I heard from a parent this year that has been sending her children to camp for years, and she’s been trying to market Eagles Nest to her friends for a long time and has had a difficult time doing that because they felt like it’s too expenisve, it’s this, it’s that, it’s a number of obstacles. When she saw our video for the first time she was like “Yes, this will do it.” It’s Because they’ll be able to see the value in a way that she could not explain. RDP: Any surprising results from using video marketing? Paige: I’ve found that it has also attracted our alumns back to Eagle’s Nest. They are people that have been away for a long period of time and long for that summer camp experience back. They’ve gotten back in touch and said that they saw the video and “it was so great to see you, and all the kids, and the singing in the dining hall. ” It reaches a lot of different audiences in ways we did not anticipate.